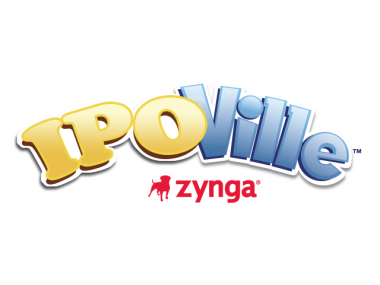 “Our prediction that the Zynga IPO might have been the high water mark for Social Games 1.0 investment has been validated, with the VC market moving sharply away from that sector,” said Digi-Capital Managing Director Tim Merel. A report conducted by Digi-Capital, an investment bank focused on gaming and companies in America, Europe and Asia, concluded that dollars are now being funneled toward tablet games, mobile games that are social, and cross-platform games, which work across all screens — mobile, social networks and the Web. In December, Zynga raised $1 billion in a public offering, capping off a vibrant year of social investing that also included Nexon’s $1.2 billion public offering on the Tokyo Stock Exchange. In 2011, social gaming represented 57 percent of the dollars invested and 45 percent of all acquisitions. But ever since the two IPOs, the smaller screen dominates, Digi-Capital reports. During the first nine months of the year, mobile and tablet games were the largest transaction group, receiving 42 percent of all fundings and 32 percent of all acquisitions. However, it should be noted that valuations are much lower today for mobile than social gaming last year, given that it is a much earlier stage market. While Digi-Capital reports that social gaming is on the way out, the good news is that the broader games sector continues to see an accelerated level of interest. So far, in 2012, 71 transactions have been completed, totaling $3.6 billion, beating last year’s record level of activity. In 2011, 113 transactions generated $3.4 billion in transaction value. In addition to mobile, massively multiplayer online games (MMO) and middleware software continue to see investments and exits. Chinese, Japanese and South Korean companies are still looking to buy Western game companies, but are facing cultural hurdles. In the first nine months of the year, free-to-play MMO exits were a surprise, representing 42 percent of all M&A, by transaction value. Middleware software also performed well in the first three quarters of the year, receiving 39 percent of all private investments, driven, in part, by Visa’s $190 million acquisition of PlaySpan.